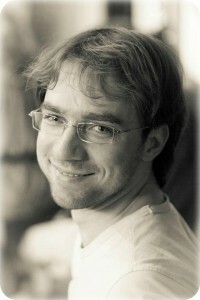 Alexander is a Belarusian born conductor and singer currently based in Rotterdam. He graduated from the Belarus State Academy of Music as choral conductor and singer and from Codarts (Rotterdam) as orchestra conductor. He studied with teachers such as Yuri Simonov (St. Petersburg Conservatory), Collin Metters (Royal Academy of Music, London), Jourma Panula (Helsinki Music Academy) and participated in master classes with Vladimir Minin, Stephen Cleobury and Tonu Kaljuste. In 2008 he was appointed choirmaster of the Belarus Radio Choir. He has also been conductor assistant at the Wroclaw Opera House (2009) and the Warsaw Philharmonic Orchestra (2012). He conducted choirs like Latvian Radio Choir, Netherlands Chamber Choir, Netherlands Radio Choir, Eric Ericson Chamber Choir etc. and orchestras as: Lithuanian State Symphony, Scottish Chamber Orchestra, London “Sinfonietta”, Netherlands Symphony Orchestra, Lucerne Academy Symphony Orchestra etc. He has been awarded the 1st prize at the 5th International Choral Conducting Competition “Toward Polyphony” (Wroclaw, Poland, 2011) and at the 4th International Choral Conductors Competition (Riga, Latvia, 2009). Since 2013 Alexander is the chief conductor of the Belarus State Symphony Capella “Sonorus” in Minsk. Upcoming performances during the 2013/2014 season include conducting the National Opera of Lyon, Moscow State Philharmonic Symphony Orchestra and the Belarus State Philharmonic Symphony Orchestra.